Select your operating system for an installation guide for Xfrog for Maya. 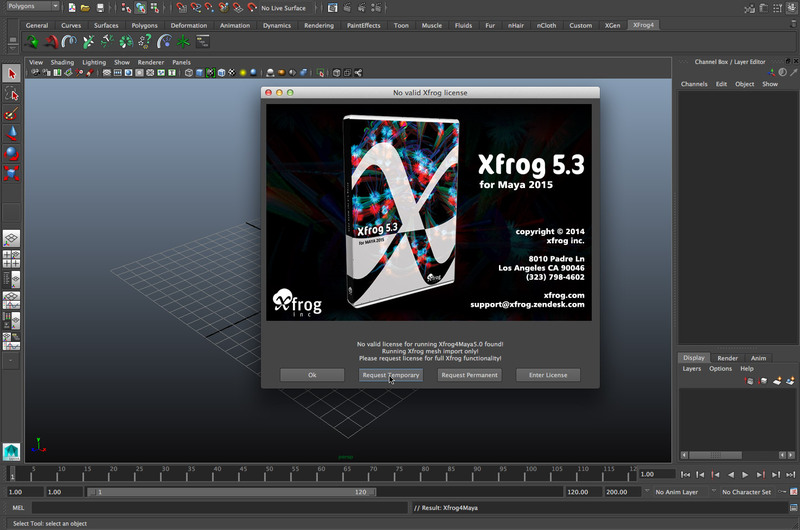 Once you have installed and launched Xfrog, you will need to get a key to use your software. 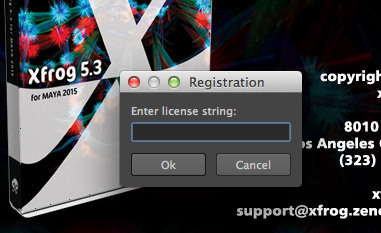 When you launch Xfrog, this will bring up the About Xfrog window, which gives options for getting either a Temporary Key, or a Permanent License. Click on either, and you will be taken to an our online registration form: complete form with your and your key will be emailed immediately. Once you have your License key (Temporary or Permanent), you can enter it in Maya. 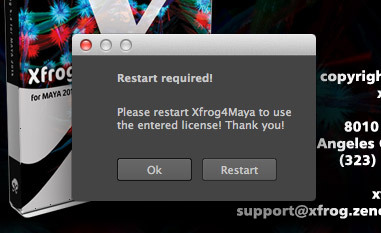 After you have entered your Key, you will be prompted to restart Maya. Workshops section for many more advanced projects. This four part tutorial covers the creation of a tree with low polygon counts. Take a Xfrog tree structure and make it move in the wind. With help of the noise() function inside the CurveNurbs object and with help of tropism objects we will gently shake the tree.